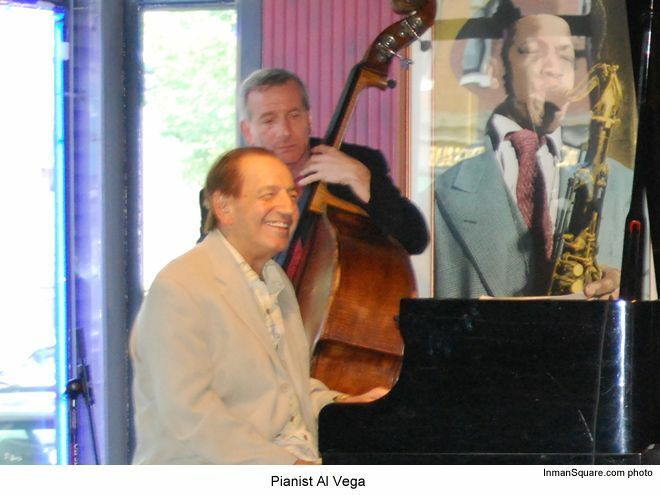 Neither the earlier Rolling Rally for the Celtics nor the competing and concurrent Taste-of-Cambridge event held this evening in neighboring Kendall Square mitigated the smashing success of "Sinatra in the Square." 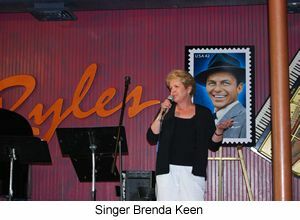 Ryles Jazz Club hosted the event, sponsored by the Inman Square Business Association, at which the local branch of the US Post Office unveiled the new Frank Sinatra stamp. 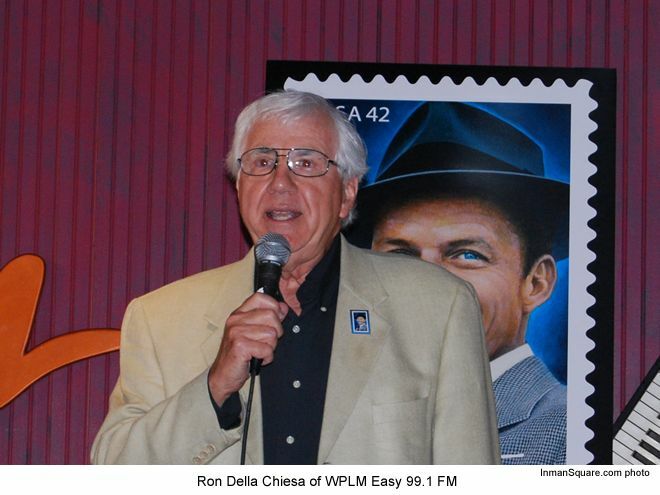 The house was packed. 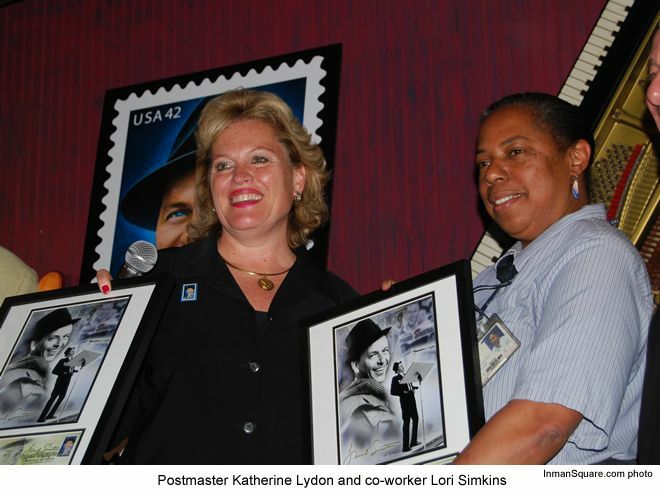 Longtime local favorite radio celebrity Ron Della Chiesa emceed and Postmaster Katherine Lydon unveiled the stamp, a quite attractive representation of a late 'fifies/early 'sixties-era Frankie. 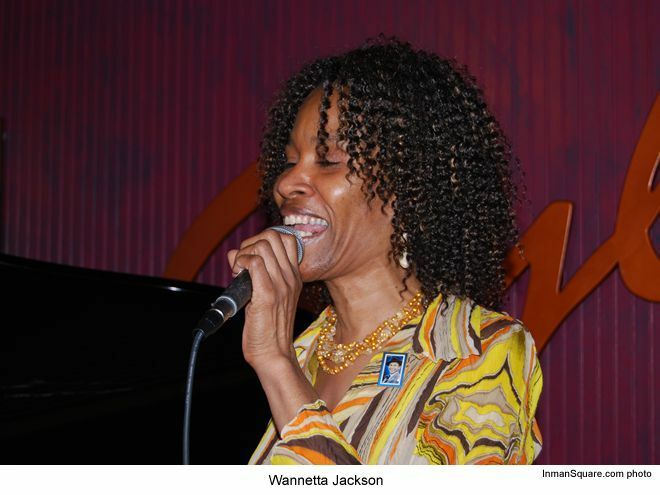 Some of the musicians performing were pianist Al Vega; Sinatra-intrepreter Michael Giambrone; Brenda Keen; and Berklee alum rhythm and blues and jazz singer Wannetta Jackson. 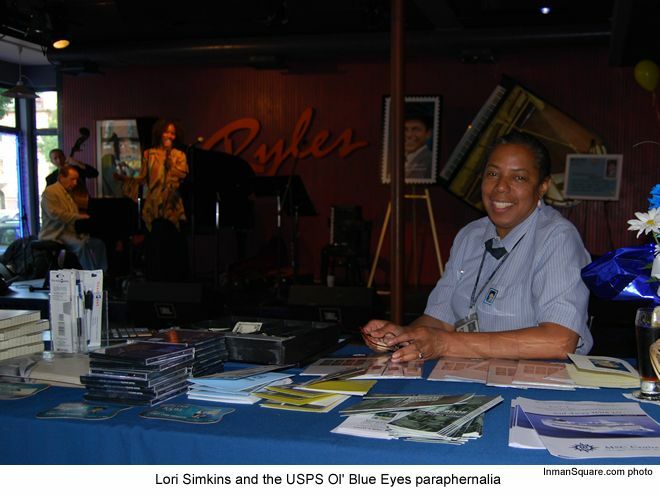 While folks enjoyed the comfortable, familiar tunes and the usual potables, Post Office salesperson Lori Simkins presided over a table with the goods: Sinatra stamps, CD's, cards, etc. newly available for sale. 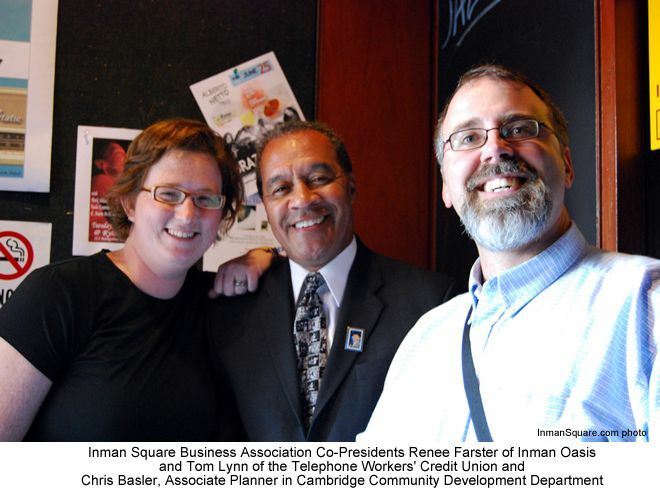 During and after this early evening event, a number of Inman Square businesses featured Sinatra-inspired specials. 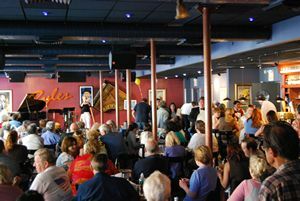 Our favorite was the 10% discount offered by Bird by Bird with the quotation of any Sinatra song; the discount increased to 20% with the singing of it.